My son loves sharks. They're one of his most favorite animals. He has a really small collection of good books on sharks so I was happy to add this eBook to his collection. Sharks are a marvel of nature. Able to swim continuously around the clock, these amazing creatures never stop. From the tiny sharks to the giant sharks, there are nearly 500 individual species swimming in our oceans. Some sharks are even able to live in freshwater rivers and streams. So, my six year old son read through this book on his own one night. He was really excited to read it, since like I said, he loves sharks. He quoted several of the pages and I could tell he was really enjoying the book. There are some really nice images throughout the book as well. What I love the most about this book is the fact that there is so much interesting information inside of the book that neither my son, nor I already knew about sharks. We both learned a lot of really cool facts! I love books that are both kid friendly and educational. This book really is great for all ages, in my opinion, and also fun to read. The book is an okay length, not too short and not too long, not very difficult for younger and older kids to both understand. 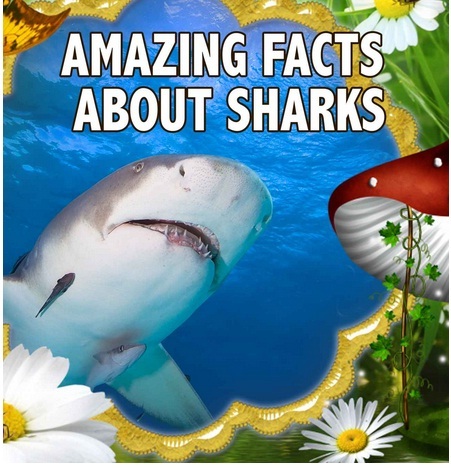 Purchase a copy of the eBook, Amazing Facts About Sharks on Amazon!